5-year-old Sawyer Cole walked up to the plate at the T-Ball field, more than ready to take his first swing. The little boy with Down syndrome had been diagnosed with B Lymphoblastic Leukemia at the end of March a few days after the team’s first practice and had not been able to attend any practices or games as he underwent chemo treatment at Vanderbilt Children’s Hospital. Sawyer will continue with chemo until next May of 2019. This is just the latest challenge the Smith County family is facing since their son was born unexpectedly with Down syndrome. Sawyer remained in the Neonatal Intensive Care Unit at Vanderbilt Children’s Hospital for 18 days, having several surgeries. 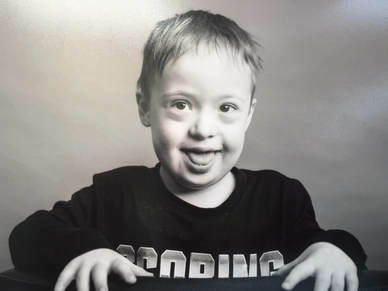 After that, their precious bundle of boy underwent physical therapy and occupational therapy for several years until he was recently released. Despite the struggles, his mom says the family has a positive attitude. Take away the physical challenge and Sawyer is like any other little boy. 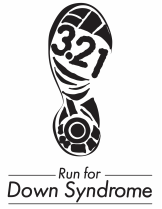 Sawyer is the Face of the Race for the 3rd Annual 3.21 Run for Down Syndrome Awareness on Saturday, October 7 at DeKalb West School.